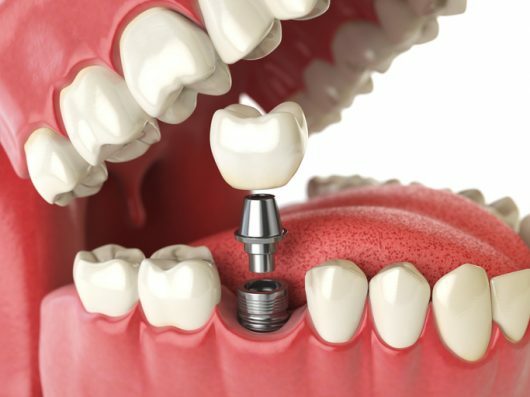 When it comes to replacing a single tooth, getting a dental implant is usually the best option. There are many benefits to getting dental implants, but at the end of the day, the final cost of the procedure is still an important factor when making a choice. To help make your choice easier, this post will focus on breaking down the cost of dental implants, as well as comparing dental implants to other tooth replacement alternatives. For a single tooth replacement, there aren’t a whole lot of options available. In these cases, single tooth dental implants and bridges are the best options, as they both allow you to replace only one tooth without needing to extract any of the adjacent teeth. Unlike with a dental implant, however, getting a dental bridge won’t replace the missing tooth root tissue. This means the area of your jaw bone where you lost a tooth will degenerate at a faster rate. The main problem with this is that getting a dental bridge could make it more difficult for you to get a single tooth dental implant in the future, as you’ll probably first need bone grafting work done in any area where you’ve had a dental bridge in the past. Because of this, most dentists won’t recommend starting out with a bridge and getting an implant later, as the procedure would cost more and take longer. Overall, most dentists will agree that a dental implant is the best option for replacing a missing tooth, but when patients simply can’t afford the extra cost, a dental bridges serve as a good alternative. 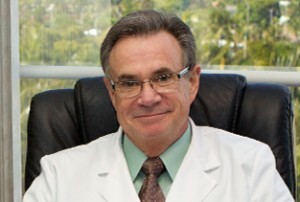 Price: Dental implants are more expensive, but unlike dental bridges, implants won’t need to be replaced. Because of this, implants win the comparison in the long-run. Even though dental bridges are initially much cheaper than implants, they often need to be replaced every 10-20 years. Dental health: Dental implants are great for your dental health, that’s because the implant post (the part replacing your tooth root) stimulates bone growth in the jaw. With a dental bridge, however, there isn’t anything to replace your tooth root. Instead, the teeth adjacent of the one that needs to be replaced will be used to support a crown that rests on your gums. Procedure time: This is one area where getting a dental bridge is better. The procedure for getting a single tooth dental implant can months from start to finish, especially if you need bone grafting. That’s because your jaw will need time to heal between different phases of treatment. Because getting a dental bridge doesn’t require any surgery, you won’t need to wait for the jaw to heal before getting a tooth crown. Candidacy: Because dental implants replace the root tissue of your tooth, you’ll need a sufficient amount of bone tissue in your jaw to support the implant. Because of this, patients that suffer from conditions such as osteoporosis aren’t always good candidates. However, your dentist will be able to determine if you’re a good candidate for the dental implant procedure after an examination. To get a dental bridge, both teeth adjacent the one you want to replace need to be healthy enough to support the dental bridge. The average cost of a single tooth dental implant in the US is about $4250, but keep in mind that this number isn’t a definite quote. There are many things that could influence the cost of getting a dental implant, like the additional cost of X-rays, CT scans and possibly even bone grafting. Unfortunately, hardly any dental insurance providers are willing to cover that cost of dental implants in full. This forces patients to find other alternatives. One of the best options for financing dental implants, is to find a dental implant specialist who accepts CareCredit cards. This will help you to finance your dental implants by paying for them in low monthly installments.